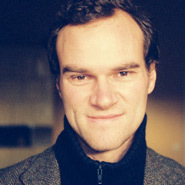 He is based in Berlin and Hamburg and works as a cinematographer. In 2008 the documentary FOOTBALL UNDER COVER had its premiere at the Berlinale and won 2 awards, was screened at many other international festivals and played successfully in the cinemas. The documentary GENERATION UNDECIDED was premiered at the Berlinale 2009, nominated for the German Documentary Film Award, and screened at many international festivals. In 2010 Niclas went to Johannesburg together with multi-talented artist Ilja Stahl to shoot the documentary TOUCHING CONCRETE that is premiered at Dok Leipzig 2017. In 2014 Niclas went to Gaza, Palestine, to shoot the documentary GAZA SURF CLUB, that was screened at many international festivals and played in german cinemas. In 2017 he has shot fiction film again, the coming-of-age web series GIRL CAVE. The most recent documentary THE NEW KIDS OF GOLZOW has its premiere at Dok Leipzig 2017 as well as TOUCHING CONCRETE.